A KILLER RETREAT Audiobook Launch Party! July marks the official launch of my second audiobook, A Killer Retreat! Although the official launch is in July, it’s available for purchase on Audible now. Join me at the Facebook launch party on July 13 at this link! I hope you give the book (audio or written) a try, and love it! For a short excerpt, check out my article today on Inkspot, the blog for writers of Midnight Ink. This entry was posted in dog books, Downward Dog Mysteries, writing on June 26, 2017 by Tracy Weber. 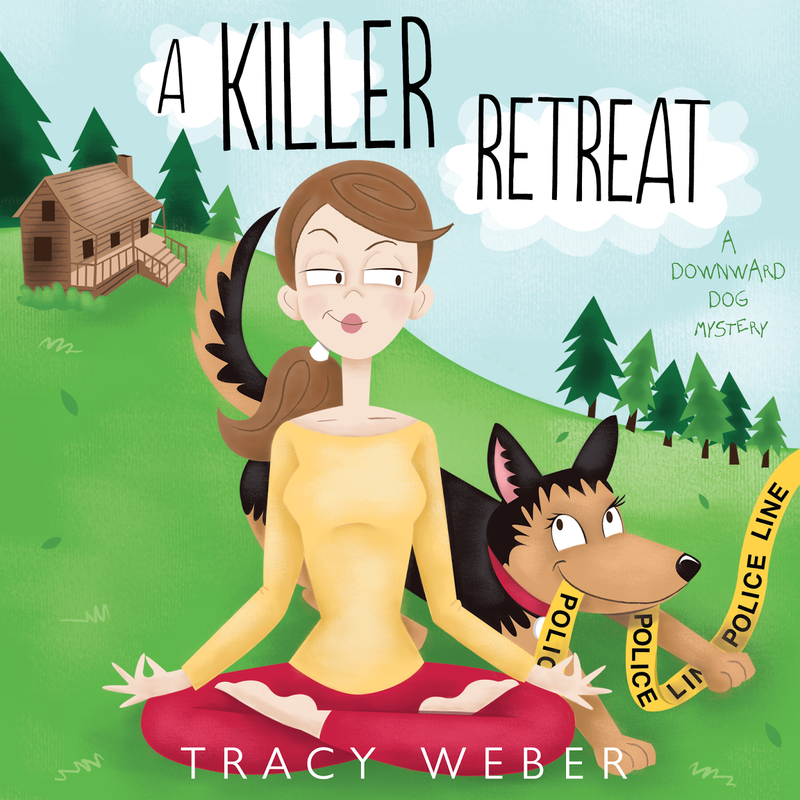 Announcing A KILLER RETREAT on Audiobook! Even better, if you already own or purchase the Kindle version of the book, you can get the audiobook for only $3.47! An official launch party and blog tour will be held in July. In the meantime, I hope you give it a try and love it! This entry was posted in Downward Dog Mysteries, writing and tagged audiobook on June 19, 2017 by Tracy Weber. Thanks to everyone who participated in my birthday-week cover reveal contest for PRE-MEDITATED MURDER last week. The full cover is below! My publisher opted to go with a different cover artist this time, so the book has a different look and feel than the first four. I’ll miss bright-and-happy Kate and Bella, but on the plus side, the new image is less likely to be confused with a children’s book. So what do you think? New cover yes? New cover no? Tell me why in the comments. And if you’re interested in pre-ordering the book, you can do so at this link. This entry was posted in dog books, Downward Dog Mysteries, writing on June 12, 2017 by Tracy Weber. It’s Tracy’s Birthday (aka Margarita Day!) How About a Cover Reveal Contest? Two fun pieces of news today! First, it’s my birthday! Whoo hoo! Margaritas for everyone! 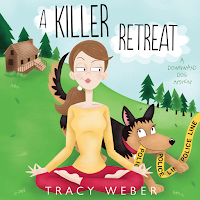 Second, my fifth Downward Dog Mystery, Pre-Meditated Murder is available for pre-order! Kate has really gotten herself into trouble this time. To see how, take a look at the book’s description at https://www.amazon.com/Pre-Meditated-Murder-Downward-Dog-Mystery-ebook/dp/B0711WY9ST/. Which brings us to the contest. Each day for the next five days, I’ll post an element of the cover on my Facebook author page https://www.facebook.com/TracyWeberAuthor. Before midnight that day, leave a comment naming the object pictured and you’ll be entered into that day’s contest. Sharing the contest, liking my author page or friending me on Facebook are all good karma, but not required. Then, any time between when I post the final object on Friday, June 9 and Sunday, June 11 at midnight, send me an e-mail at Tracy@WholeLifeYoga.com with all five objects. Once I receive your e-mail, you’ll be entered to win the grand prize. The full cover will be revealed on this blog and on Facebook on Monday, June 12. Monday: Your choice of the audiobook or an autographed paper copy of my Agatha Nominated first book, Murder Strikes a Pose. If you already own it, remember: books make great gifts! Wednesday: An autographed copy of the fourth book in the series, A Fatal Twist. If you already own it, remember: books make great gifts! Thursday: A $15 Amazon gift certificate. Friday: An advanced copy of Pre-Meditated Murder when it’s available sometime in August. Grand Prize: A Dog and Crossbones book bag, a Downward Dog Mysteries coffee mug, and an advanced copy of Pre-Meditated Murder when it’s available. This entry was posted in Downward Dog Mysteries, writing on June 5, 2017 by Tracy Weber.